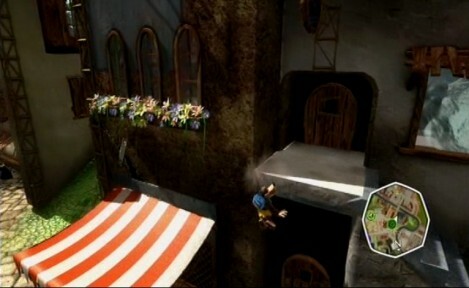 The demo of Banjo Kazooie Nuts and Bolts for Xbox 360 is now available for download from Xbox Live Markedplace. I’ve played the demo a bit, and I think I like what I see. Need some more playtime, but it looks nice. 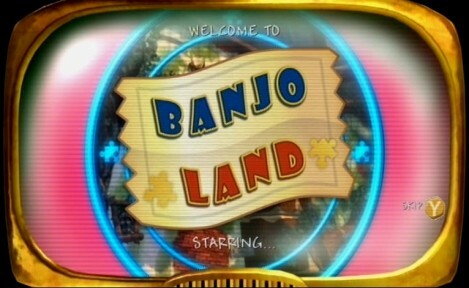 I never played Banjo Kazooie on Nintendo 64, so it’s a new experience. I’ve made a YouTube video of how you can, but not how you should, make a vehicle. It worked, but it was easier to drive in reverse. So something is wrong with my construction. 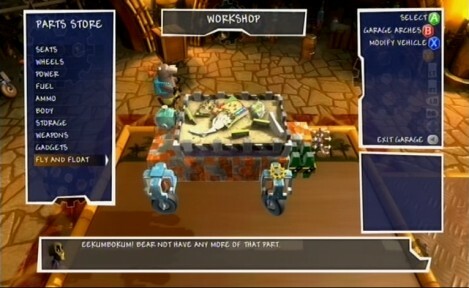 There is also a video of the gameworld in the demo. And last, but not least, I extracted some screenshoots from my captured video. Enjoy! 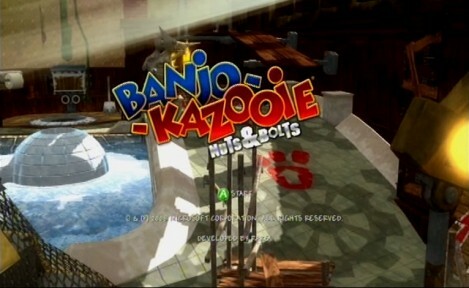 Banjo Kazooie Nuts and Bolts for Xbox 360 is available in November (date may differ from where in the world you live), and the game can be ordered from Amazon.com, Amazon.co.uk and Play-Asia.com. A demo of Tomb Raider Underworld is now available for download on Xbox 360. I made a YouTube video with around 7 minute of gameplay. 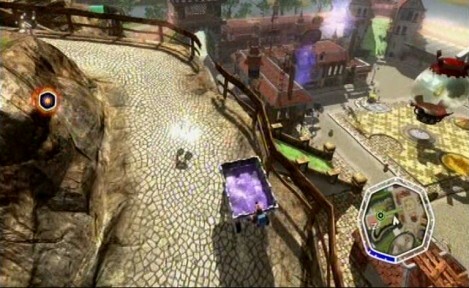 I think the graphics are good, the gameplay too. So this will be a definitive buy when it comes out in November. 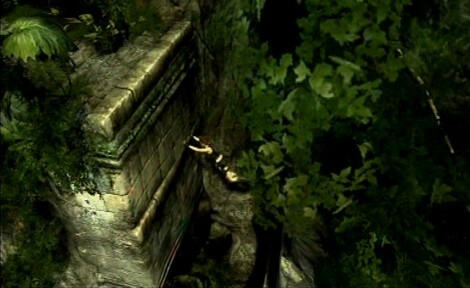 Tomb Raider Underworld can be pre-ordered from both Amazon.com, Amazon.co.uk and Play-Asia.com. 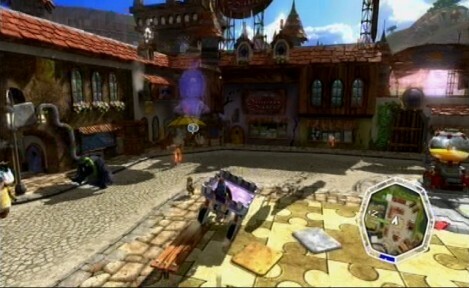 The game will be available on Xbox 360, PS3, PS2, PC, Nintendo Wii and Nintendo DS. 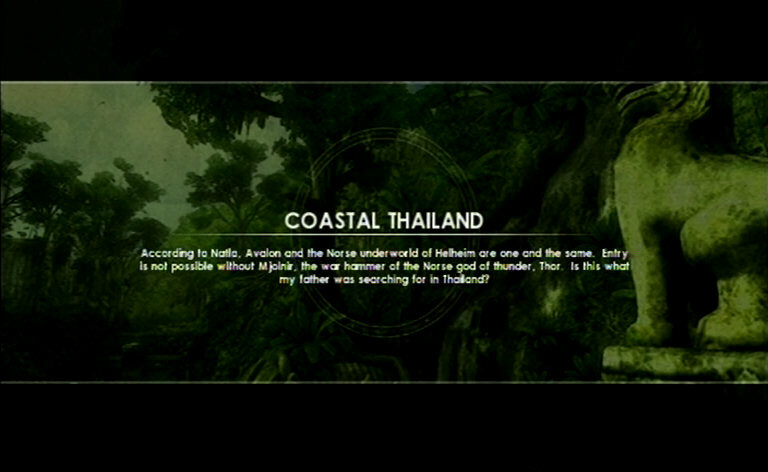 The screenshots bellow is from taken from the video I recorded of my gameplay. Here is a new video interview with Shigeru Miyamoto where he talks about Wii Music. 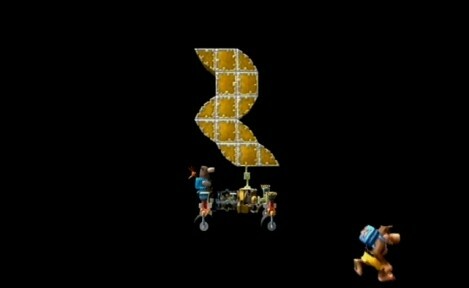 Video is from CNET.com, found on GoNintendo.com. 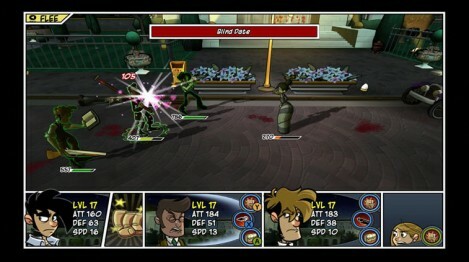 [UPDATE] Penny Arcade Adventures: On the Rain-Slick Precipice of Darkness, Episode Two will also be up on XBLA this week. Join Mr. Foxworthy’s class and play the Are You Smarter than a 5th Grader?™ trivia game where every question is based on the grade school curriculum and the answers are elementary. 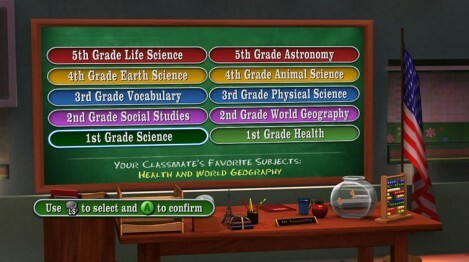 Step up to the podium and put your smarts on the line with over 6,000 grade school questions in 21 subjects. 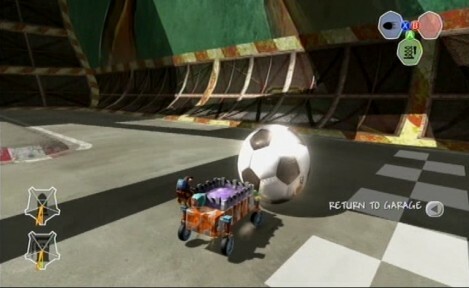 Outwit, outplay and just plain cheat your way to the one million dollar grand prize. Collect extra credit to unlock achievements. Prove once and for all that you are indeed smarter than a 5th grader. Tons of questions: Step up to the podium and put your smarts on the line with over 6,000 grade school questions. Choose wisely: Do you want a smarty pants or smart Alec? Choose your partner from five brainy fifth graders and test your skills across 21 subjects. Gold stars: What would school be without gold stars? Earn gold stars as you work your way to the million dollar question. Multiplayer: Compete with your friends in single couch and online multiplayer. The madcap Penny Arcade experience continues: Meet all-new characters and see newly revealed strip favorites from Mike Krahulik, while reading laugh-out-loud dialogue from Jerry Holkins. Get value for your gaming dollar: Play the entire episode in 6-10 hours for 1200 Microsoft Points, getting tremendous value that fits into your busy schedule. Save what matters most: Carry over your character’s stats and look from prior episodes. Go crazy with a whole new level of customization: Check out even more options for you to design and develop your own character, seeing it come to life in 3-D and in the comic-style 2-D cutscenes. Play it safe or go insane! : New difficulty settings put you in charge of the action. Experience a deeper RPG-adventure: Get into the game with more puzzles, areas to explore, and levels to gain. Pick up and play from any episode: Enjoy each self-contained story without having to play previous installments. When I saw Saw the first time, I was amazed. It was a genius film. When the second Saw movie came out, I had a opened mind, since I didn’t think it could out do the first one. It didn’t, but it suprised med positivly. It was a good movie. The third and fourth movie I saw because I did see the two first. Well, now number five is out and I guess I will see that to, just to have seen them all. Here’s IGN.com’s videoreview of Saw V.